Dr Michael Salter’s informative and thought-provoking address at Sydney’s JewishCare White Ribbon Day Men’s Breakfast was greatly appreciated by over 80 attendees. Listen to and give advice to victims, don’t trivialise. Authority and leadership can be grounded in listening and connecting to others, understanding them, and seeking to address shared needs. 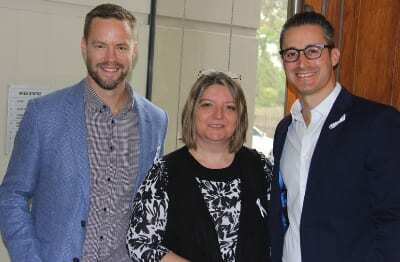 JewishCareNSW has been hosting the WhiteRibbonDay Men’s Breakfast for a number of years, with the attendance growing each year, especially younger men who are raising issues in their own social circles.